Nov. 27, 2013, Brantford – The successful 880 logger has a new junior companion. The 875 logger is a 36 000 kg (80,000 lb) carrier with two boom options for loading or processing applications. It is equipped with the new Tigercat FPT 6.7 L Tier 4i engine, producing 210 kW (282 hp). Designed for extremely fuel efficient operation, the 875 is equipped with variable speed cooling and Tigercat's unique closed loop energy recovery swing system. The twin swing drive system provides powerful swing torque and reduced gear tooth loads for excellent performance and reliability in demanding processing applications. The new F7-150 heavy duty forestry undercarriage provides a stable base of operations, improving performance and operator comfort. The operator's cabin is very spacious with excellent all-around visibility. Floor windows provide a clear view of the tracks. The engine compartment is open and spacious. Access to daily service points is very convenient and major components are readily accessible. The engine and hydraulic components are shielded and compartmentalized. Tigercat FPT engines meet Tier 4 emission levels without the need for variable geometry turbochargers, an EGR system, a higher capacity cooling system, an intake throttle body or a diesel particulate filter. Furthermore, the engine series offers improved reliability and lower long-term maintenance costs. The key is the selective catalyst reduction (SCR) which converts the harmful components of the exhaust gas stream into water, nitrogen, and carbon dioxide. 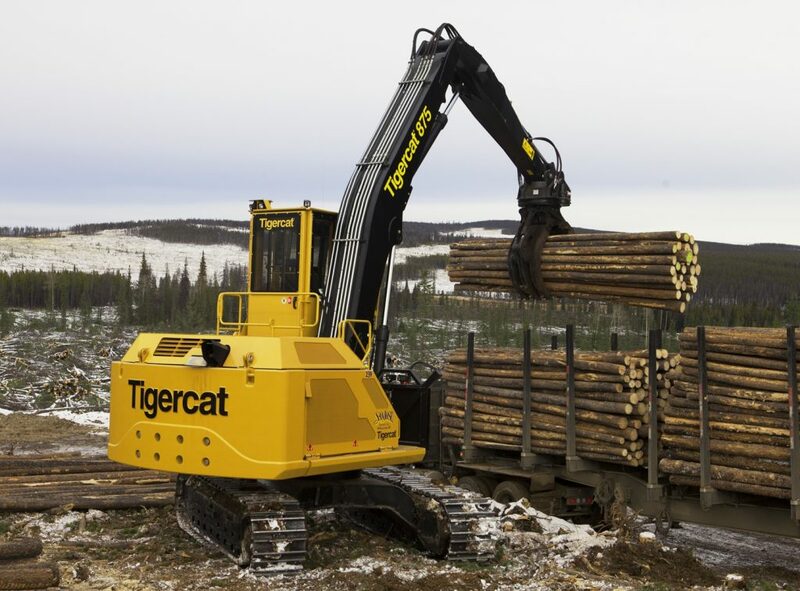 The biggest benefit for Tigercat machine owners is that the FPT engine series is fully supported by Tigercat, including all parts, service, warranty and technical support.